James Dobney Inspections uses the most comprehensive home inspection reporting systems in the industry today: The Carson Dunlop Home Reference Book® and the HORIZON Electronic Reporting System. The HORIZON report is sent to all clients unless a written report is requested. HORIZON is our comprehensive web-based reporting system that produces an exceptional report that is published and posted on the web exclusively for you. The report includes colour photos and illustrations and links to relevant reference materials. It will be delivered to you via email, in most cases, the same day as your inspection. Home inspection reports produced on the web are in PDF format. They can be downloaded and printed easily with no loss of quality. They can be stored on a hard drive, and we commit to keeping them available online for at least 12 months. You can learn more about the benefits of HORIZON here. Included with your HORIZON electronic PDF report is a printed Home Reference Book®; it is an easy-to-use manual comprised of 400 informative pages and over 160 full colour illustrations. It contains a wealth of information on life cycle and costs of various components of your house, a handy chart of recommended household maintenance tasks, together with description of house’s major systems’ and components’ state. 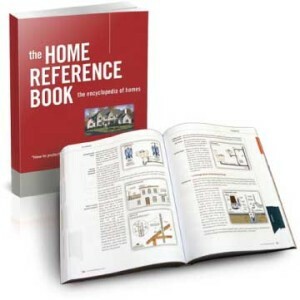 Of all the tools used by the home owner, The Home Reference Book® could well be the most valuable. It can help inform you, organize you and save you money. If you cannot, or do not wish to receive an emailed report, we can also provide you with the Home Reference Book® as a written report. Please specify this requirement when booking your inspection.